Home » New Posts » Do We Plan Our Lives Before We Are Born? The theory that we plan our lives was something I had never heard of before 2011. Up until that point, I could not have even imagined such a thing. Even after hearing about it 3 years ago, it took me quite a long time to let this concept into my paradigm. How I stumbled upon it wasn’t even through my avid research of the afterlife and reincarnation. It came to me through a vision I had. Before the vision, I believed in reincarnation. The idea of it had always fascinated me and I felt strongly that I did have past lives; I just didn’t know what those lives entailed. After three years of intense research and listening to many people from all different backgrounds and beliefs speak about it from all around the world, I knew it was something that needed to be shared and discussed. “Many people feel that reincarnation can’t exist because they don’t remember their past and my answer to the world is we do remember. We don’t have the details but we have certain key hints as to who we are. The type of music we like, the people we are most attracted to, the types of food we like, the clothing we wear, certain periods of history that we identify with. Through my research, the cycle of life to death to re-birth has been pretty much the same from all the sources I studied and let me tell you, there were many. It all starts with the Pre-Birth Plan. You establish this plan with a council. Some people call this council the elders or the wise ones. Pretty much, they are very old beings who know their stuff so to speak. You meet with them along with your spirit guides. You discuss the life ahead of you and are given the choice of a few different lives to pick from in the current time period you are incarnating into. To give you an example: I was given the choice of being an artist or a Samurai in Japan. You choose everything, including your parents. Once your choices have been given to you and you pick one, the tedious task starts of planning all the things you wish to experience in the upcoming life. Experience isn’t the only thing we seek; we have goals to meet and challenges to overcome. Some wish to learn patience or overcome jealousy. Many people have debated this theory but you also choose to clear up karmas. To me, clearing up karmas simply means creating a balance. There are a few other things like healing, contrast and healing false beliefs. When the life plan is being created, our guides are there with us creating what Robert Schwartz describes through his work as a flow chart. A flow chart is the plan but with free will incorporated into it. He goes into great detail about the flow chart in an interview he did with Afterlife TV which you can view here. Our guides also create synchronicities in our lives to trigger certain things in us and guide us on the best path to help us master our goals. After the plan is in place, we are born and forget the plan and who we truly are. Forgetting is an integral part of the cycle. It’s how we truly get to know ourselves and fully live the current life we are living. Dolores and Teal give really great, simple explanations of it. We’re living in the time of remembering and many of us are remembering who we are and why we came to Earth at this time. Those who haven’t fully awakened to their abilities but wish to have more insight on who they are and why they are here seek out mediums or people who are in tune with higher frequencies and can connect to help them access that kind of information. The Pre-Birth Plan is set in place but free will gives us the ability to create any reality we choose to live in. With that being said, there are certain things we are meant to experience and because of that, I believe some things are out of our control. For example: if you are meant to experience a certain illness or disease, you will manifest that illness. If you are meant to experience a negative relationship, you will attract that negative person into your life. I guess you could consider that to be the Law of Attraction or Manifestation but because it’s not something you are fully conscious of because you planned it before you were born, it’s hard to call it that. Lately, I’ve seen some people get confused because they know about the Laws of Attraction, how to manifest positive things and are on a high vibration but something negative comes into their life and they’re suddenly thrown off balance because they felt they were doing everything right so they couldn’t understand how they could attract something negative. When that happens, I’m led to believe that that is the Pre-Birth Plan kicking in. There’s a lesson to be learned, an experience to be had for growth, healing or balance or in some cases you have strayed pretty far away from your Pre-Birth Plan and things in your life begin to fall apart. “Meher Baba is fairly, fairly clear and I’m afraid maybe for many people’s taste, a bit frighteningly clear on this. There is a wall between the consciousness of the present life and previous lifetime stored records. And he said actually it’s for a pretty good reason because the variety and also the strength of those previous lifetime recordings is so varied, so complex and in many cases oppositional. This lifetime is way over here and that lifetime is way over there and if all of a sudden we break through the protective wall and these things come out you know, he said this can be or would be-if the individual has not done it-one of the most upsetting things that could possibly occur to him and in the usual human state of emotional being the individual is just not strong enough to encompass and to be able to handle and digest and go beyond this tremendously varied functions. We come into each incarnation playing a role. 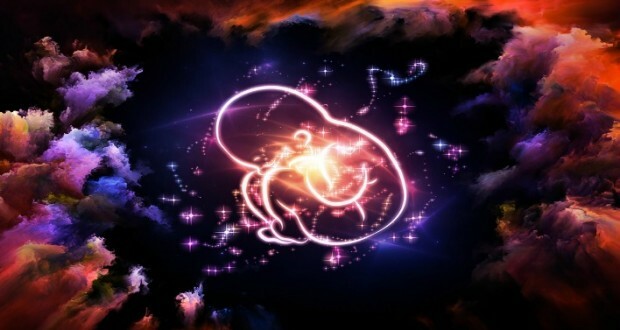 The role is chosen with the help of our guides and council before we are born. We take turns playing different roles. In one life you will choose to be murdered and in another you will volunteer to be the murderer. The list of switching roles is vast and complex. This information is really hard for some people to take in. It took me awhile to really process it all but in the end, it all made sense. There’s a part in Kung Fu Panda that I always think of when I think about good versus bad. Master Shifu runs up to Master Oogway and says to him that it’s very bad news. Master Oogway smiles and says, “There is just news. No good or bad.” From what I’ve found through my research and what I truly believe in my heart is that negative is an illusion. Negative and positive are both construction material. Negative is an evolutionary catalyst. We come to Earth for many reasons but a big one is soul growth. Soul growth on the other side is very slow because it is paradise. Also, because we are able to forget who we are, we can learn things on a deeper level and expand even more from it. Let’s say you want to know love. What better way to know love than to lose it or become separated from it, not even knowing that all of our very existence is love. After I heard the theory that we play roles was presented to me, I no longer hated a single person on this planet nor did I fear anything. Because we live in a world of duality, we must have “negative.” The negative is what makes this world. If we didn’t have the villains, none of this would be possible. In every single one of those villains (oppressors, abusers, etc.) is a beautiful soul living a human experience that was all planned with soul growth in mind. We are living in a very interesting time where many truths that were once hidden are now coming to light. I’m not saying that the theory of planning our lives is true but rather a new perspective on an old story. There are many stories of the human species origins and why we are here but after extensive research and hearing all the stories, this is the one that truly resonates with me. That, and I’ve remembered who I am with the help of my spirit guides. I wrote an article about how to connect with your own spirit guides which you can view here. Previous: Want To Know What Ayahuasca Is Really Like?